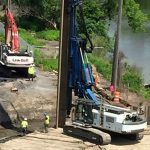 Engineer | Nussbaumer &amp; Clark, Inc.
LAND Remediation served as the primary contractor to the Buffalo Niagara RiverKeeper to stabilize and restore shoreline area along the Buffalo River. 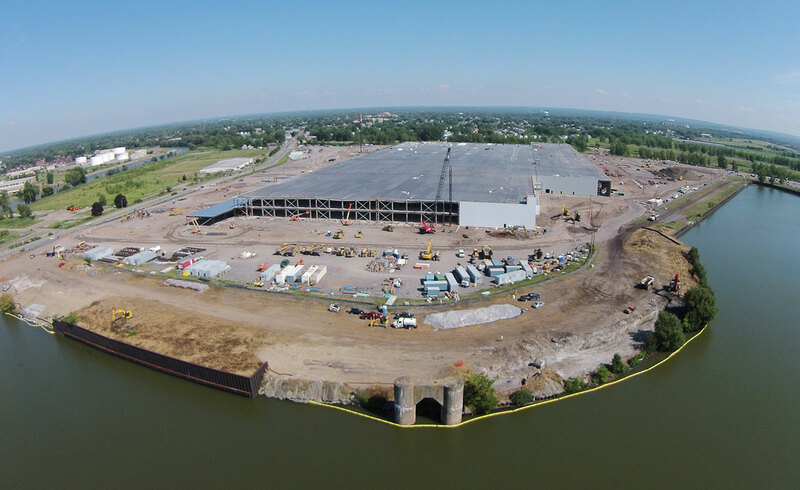 This project was located on the Buffalo River coincidental with the Solar City development project. The work included excavation of a steep bank for the management of 17,500 cy of soils to an on-site disposal area, regrading of the shoreline, followed by fine-grade for the installation of permanent protective restoration features including: soil burritos with live branch layering and live stakes, installation of a deepened planting soil layer to create planting areas/berms, and installation of rootball structures and coir fiber matting. LAND performed 85 percent of the sitework while teaming with applied Ecological Services to provide specialty restoration features.